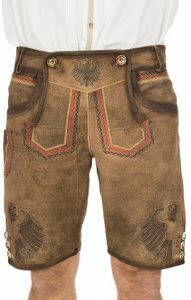 Wait a second: the best lederhosen in 2018? Aren’t lederhosen supposed to be like dogs: i.e. for life, not just for Christmas/one year? Spot on! But whenever a new year brings with it a new season and new fashion models, we can’t quite help ourselves: we like to make sure we’re up to date. And in any case: that lederhosen for life has got to be bought at some point – and why not in 2018, which has got one of the strongest fields we’ve seen for quite some time. 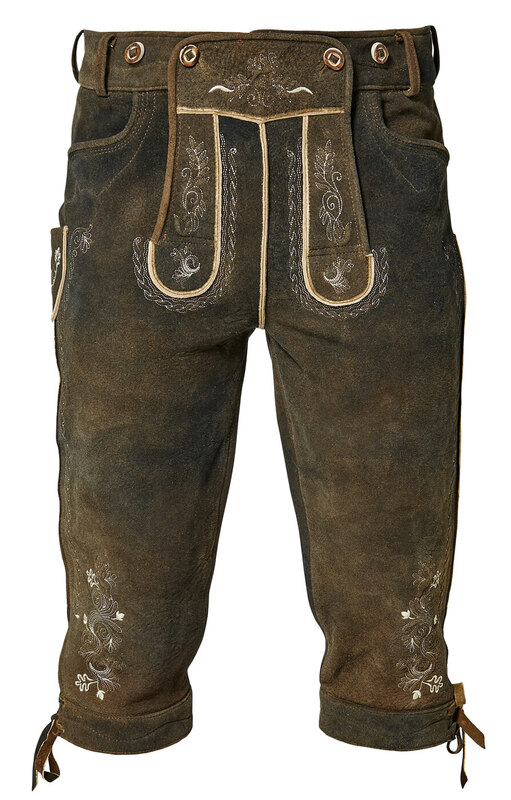 In terms of an entry-level pair of lederhosen, our recommendation for 2018 is this model by Krüger Buam. The unobstrusive medium brown shade and low-key embroidery belie its eccentric twist: look closer, and you’ll see that the traditional edelweiss and stags have been replaced by minutely stitched eagles – just like the eagles on the chests of the German football team! That’s right, 2018 is World Cup year, and if there’s one country that takes its efforts to win seriously, it’s Germany. 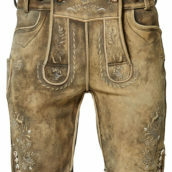 So if you want to please your German hosts at the 2018 Oktoberfest in Munich – or simply be on the winning side for once – opt for these quirky, yet high-quality leather breeches. Stockerpoint’s black and yellow model. Just add red! 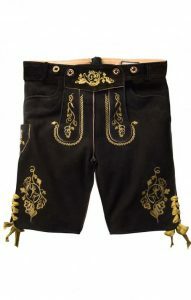 Another pair of lederhosen that could be filed under “football related” (albeit at a pinch), are these classcis by Stockerpoint. How so? Well, the leather is black and the stitching is yellow; worn with a red top, that makes black, red, and yellow. Still not there? Google the German flag. The charm of this pair, though, is that they’re in no way limited to World Cup years: the black and yellow combination is traditional, as are the designs on the flap and the thighs -and the quality is such that there’s no small chance you’ll be wearing these when the Germans win again in 2030. Or 2042. Or whenever.